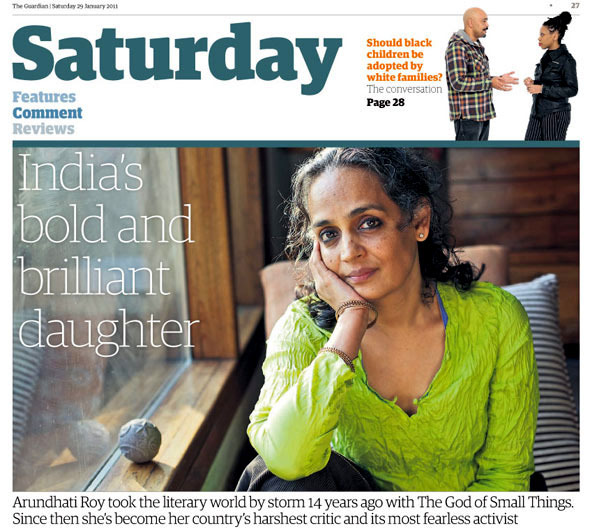 I recently photographed author Arundhati Roy for The Guardian and one of the portraits was published the following Saturday alongside an article by Ian Jack headlined, Arundhati Roy: India’s bold and brilliant daughter. Jack’s profile inspired online readers to post 228 comments which tells you something about Roy’s ability to provoke a debate. Unfortunately many of the comments I read seemed to emanate from a small community of chauvinistic Indians who, like their Tea Party contemporaries in the U.S., apparently take pleasure from throwing insults. This is a shame because such name-calling distracts us from the very legitimate concerns Roy frequently voices about issues including freedom of speech, human rights and the abuse of corporate power. Her prose takes few prisoners, and runs against the grain of urban India’s swelling prosperity. A common criticism is her refusal to balance the bad against the good. I would argue that making a virtue of balance is problematic given that it must, by definition, accommodate opinions that are not worth respecting – including the views of those very detractors who, as I mention, happen to post deluded comments on the Guardian website. We would surely be better to judge all arguments – Roy’s included – by their merit alone and conclude that glorified notions of Indian wealth and prosperity, of the kind that cropped up in response to the Roy profile, have earned credibility not because they accurately describe the experience of most Indians but because they happen to serve the interests of a powerful elite while flattering India’s influential – and often blinkered – urban middle class. 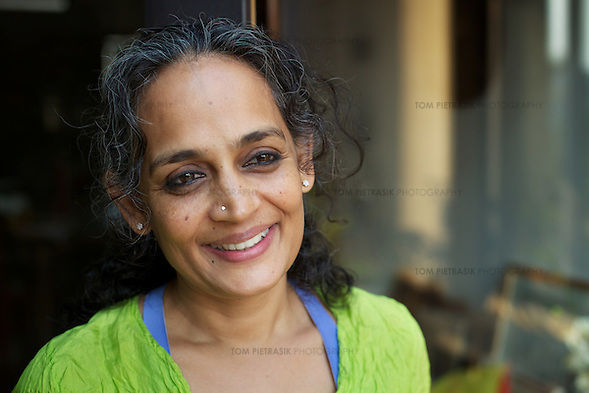 You can see some more of my Arundhati Roy potraits here. Arundhati is entitiled to her views on issues and we must develop tolerance and a sense of accomodation if not acceptance.She does represent views of millions of Indians, who dont dare….Whatever some people say about her she is one of the brilliant daughters of this great Democracy called India. 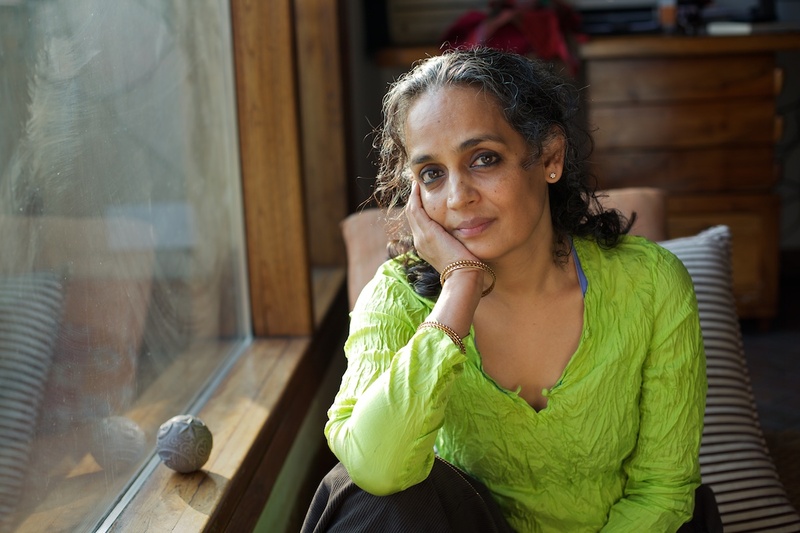 Arundhati is a bit player who benefited from the great Indian drama. however, disconcerting it might be , it will be easier the day we recognize her hypocrisy. Unfortunately, her counter parts on the right gave her too much importance.